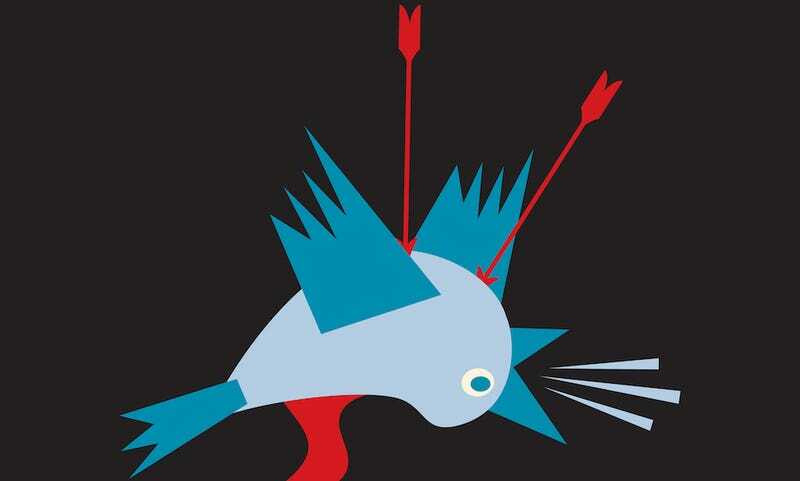 The Death of Twitter has be proclaimed over and over in some form since 2009. Eulogies ramped up over the last year, when its monthly active user count stalled, its executives left en masse, and the prospect of changes led users to revolt with the hashtag #RIPTwitter. Re/Code reports that Ed Ho, a senior engineering director, will take over the product team in the meantime. Seibert, on the other hand, will return to Fabric, the mobile development platform he was running before his promotion. His departure is more of the same for a position that has been described as “cursed” and “jinxed.” Amusingly, it’s also been compared to the Defense Against the Dark Arts position from the Harry Potter universe. Sick burn, MTV. According to Sarah Epler, MTV’s senior director of social media, the media company uses Twitter to see how people are reacting to its Snapchat content. Well, at least someone is using Twitter. Still not as many as Snapchat, though! Twitter found itself dragged into the rash of security issues that recently popped up on various social platforms, including LinkedIn and Myspace. While the company has been adamant that compromised account information “was not obtained from a hack of Twitter’s servers”—it instead pointed to the other breaches as a possible source—its accounts were still affected, and it locked out some affected users and required them to reset their passwords. None of this is to say that Twitter is going to fall off the face of the planet anytime soon. (Where else will we see politicians shutting down the haters?) Given the media’s propensity to eulogize the struggling platform, however, you can expect to hear the death knells continue. This post has been updated to reflect the fact that Twitter has not verified the reports that 32 million accounts were compromised.